Often claimed, and with darn good reason, to be the instigators of Southern Rock, the Allman Brothers Band pioneered a blend of country, blues, boogie and free form R&B with attention to detail, heavy soloing prowess and an almighty rhythm section. Formed by the brothers Duane and Gregg Allman – both men expert players on lead and slide guitar and keyboards respectively - they cut their teeth in Florida and Macon, Georgia performing lengthy jam-based rock for biker orientated crowds who saw themselves mirrored by the group’s anti-style image and rebellious sounds. After making their debut with a self-titled album in 1969 the Allmans hit paydirt with the monumental live double, At Fillmore East (1971) and then faced tragedy when Duane was killed in a motorcycle accident. Bassist Berry Oakley also perished in similar circumstances a year later. Undaunted this toughest of American bands survived to find commercial success away from the bars and halls with the splendid Eat A Peach and the groundbreaking Brothers and Sisters which includes the perennial favourite ‘Ramblin’ Man’. Bro’ Gregg kept the flame burning throughout the ensuing decades and also became something of a media celebrity thanks to several high profile liaisons, notably with Cher, but it’s as a consummate recording outfit and a constantly inventive live draw that we salute them. Inducted into the Hall of Fame in 1995 the Allman Brothers notched up eleven gold and five platinum albums from 1971 to 2005 and retain a fanatical live following of old and young followers. Like The Grateful Dead they are viewed as national treasures in the USA and their European fan base is equally loyal. We love ‘em to bits and are sure that you’ll enjoy discovering or rediscovering what they have to offer – namely American heartland music of the highest quality. The original Allman Brothers Band formed in the late 1960s with members drawn from teenage groups the Escorts and Allman Joy and the psychedelic affairs Hour Glass and The 31st of February. Meanwhile Duane Allman became an in demand session guitarist. He played on Wilson Pickett’s hit version of ‘Hey Jude’ and honed his chops in Muscle Shoals, Alabama working with soul legends Aretha Franklin, King Curtis, Percy Sledge and many others. Gregg was assigned to search for a band contract in Los Angeles but returned to their new HQ in Jacksonville where the siblings reunited with guitarist Dickie Betts, drummer Butch Trucks and bass man Berry Oakley. Adding another drummer and conga player in Jai Johanny Johnson (after known simply as Jamoe) a cult following and word of mouth acclaim lead them to record with producer Tom Dowd. Their debut was finished in two weeks flat and since they’d perfected the songs in their live sets it had an immediacy and polish to match the group’s ambition. You can hear the enthusiasm crackle out of the grooves on every track, most of them composed by Gregg Allman whose organ contributions are as vital as Duane’s super slide. Starting with the Spencer Davis tune ‘Don’t Want You No More’ and closing out on the signature piece ‘Whipping Post’ this is a bold and hard hitting career start and one of the greatest debut albums ever made by an American rock group although there are plenty of side trips like the jazzy anthem ‘Dreams’, which nods towards John Coltrane while drummer Johnson pays homage to Jimmy Cobb in his loose fills. 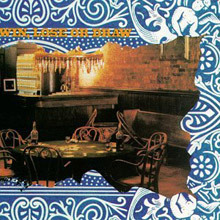 Idlewild South (1970) kept the Dowd partnership going and the Allmans recorded in Capricorn Sound Studios in Macon, Criterion in Miami and New York City’s Regent Sound, incorporating the latter stint with some Fillmore East and club dates that would cement their legend on the East Coast. The album title refers to a barn style party venue and hangout and is key to the atmosphere found within. During this year they played over 300 shows and were still a bigger live draw than a vinyl seller. In fact their style was evolving. Betts contributes the tracks ‘Revival’ and ‘In Memory Of Elizabeth Reed’, the latter tune featuring his first real guitar solo on album. It would become an iconic number in their repertoire. Elsewhere Gregg’s ‘Midnight Rider’ is a stand out. Obviously commercial, it has been covered by Willie Nelson, Joe Cocker and Gregg himself. Oakley’s move upfront to take lead vocals on ‘Hoochie Coochie Man’ (by Willie Dixon) is a delight. If they remained a well-kept secret at this point the release of At Fillmore East, with a classic black and white album cover taken not outside the venue as many believed, but in an alleyway in Macon. Whatever, this brought them out of the shadows. Generally recognised to be one of the greatest live albums of any era the Library of Congress bestowed it with cultural, historical and aesthetic importance in 2004. While it had gone platinum by the middle of the 1970s At Fillmore East continues to draw in new converts to this day and anyone who hasn’t heard it is in for an almighty good time as it registers over 76 minutes of glorious Allman magic. Culled from a March ’71 stint, promoter Bill Graham had booked them as special guests but they were soon usurping the headliners – Johnny Winter and Elvin Bishop. The album is a glorious thing – light, tight, springy and funky with more rock riffs and soul moves inside ‘Statesboro Blues’, ‘You Don’t Love Me’ and the elongated ‘Whippin' Post’ and ‘In Memory of Elizabeth’ than most bands will carve out in an entire career. This really is a must have disc – especially in the Deluxe extended version where alternative takes are included plus several other cuts not available on the original: ‘Mountain Jam’ (not quite how Donovan envisaged it) and Marshall Sehorn’s ‘One Way Out’ being as vital as anything else one might be more familiar with. 1972’s Eat a Peach, another indispensable double, is a most poignant listen since it was mixed down after Duane’s death, though his playing is kept for posterity on the majority of the tracks. The song ‘Melissa’ is included as an early tribute to Duane, being a Gregg ballad that his bother adored. A mixture of live and studio, Eat a Peach hit 4 on the Billboard chart and would soon go platinum liker its predecessor. Betts rose to the challenge of becoming the focal guitarist with his pieces Les Brers in A Minor and ‘Blue Sky’. 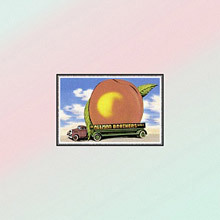 The cover art, a giant peach on a truck, is widely regarded to be one of the best gatefold sleeves of the time and makes a perfect visual foil for the Southern delights inside. Brothers and Sisters (1973) contained further tragedy. Oakley was killed during the making but had got to lay down his parts for ‘Ramblin’ Man’ (featuring second lead guitarist Les Dudek) and ‘Wasted Words’. Gregg enlisted further help from new members Chuck Leavell on piano and Lamar Williams on bass, allowing him to move stage front and become the focal point. A more country tinged set than anything they’d done before the Brothers and Sisters album reached out to an even wider audience, including the FM radio crowd who were curious to hear an outfit whose reputation had become vast. They participated in the infamous Watkins Glen Speedway show with The Grateful Dead and The Band in July 1973, at that time the largest rock concert ever held. From here on in they became a stadium act. Commanded huge fees and travelled on a customised Boeing 720, the Starship, also used by the Rolling Stones and Led Zeppelin. The album soared to number one and is highly recommended. It is also available in expanded Deluxe, Super Deluxe and Remastered formats. 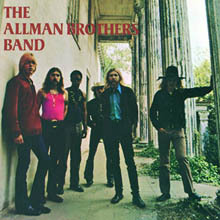 The most popular band in America now, the Allman Brothers sixth album Win, Lose or Draw (1975) marks a watershed for their jam style though Betts (now known as Richard Betts) keeps things bubbling on ‘High Falls’ and the boys are in scintillating mood for their cover of Billy Joe Shaver’s ‘Sweet Mama (Lay Your Burdens Down)’. While it’s true that the arrival of punk and the new wave caused concern in the ranks the double live Wipe the Windows, Check the Oil, Dollar Gas (1976) was taken from their mid-seventies heyday as they toured California, New York and Louisiana. Highlights include ‘Southbound’, the progressive flavoured 'Can’t Lose What You Never Had’ and ‘Ain’t Wastin’ Time No More’ which functions as a lament for both Duane and Berry. Enlightened Rogues (1979) has an air of the confessional about it – no getting away from the fact that this group has suffered internal and external friction – and is a fine return to form with guitarist Dan Toler providing some fresh impetus to tracks like ‘Pegasus’ and ‘Just Ain’t Easy’. Producer Tom Dowd is back in the booth and there’s an air of maturity at play throughout. While our story with this remarkable group is almost at an end we need to flag up some more fine albums. 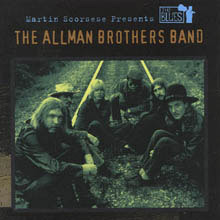 Martin Scorsese Presents the Blues: The Allman Brothers Band is one of a series that collates the esteemed director’s choices in compilation form. Then again the Gold album and The Universal Masters Collection: The Allman Brothers will also provide a fine insight into this long running saga with all the key hits and tasty Southern cooking you’d expect. Constantly in demand as a revivalist rock act, the Allman Brothers have swung back into fashion and new generations are keen to discover them anew. There’s a wealth of wonder above. Peachy listening. The Allman Brothers Band is the debut studio album by American rock band the Allman Brothers Band. It was released in the United States by Atco Records and Capricorn Records on November 4, 1969 and produced by Adrian Barber. Formed in 1969, the Allman Brothers Band came together following various musical pursuits by each individual member. Following his session work in Muscle Shoals, Alabama, Duane Allman moved to Jacksonville, Florida where he led large jam sessions with his new band, one he had envisioned as having two guitarists and two drummers. After rounding out the lineup with the addition of his brother, Gregg Allman, the band played free shows in public parks and moved to Macon, Georgia, where they were to be one of the premiere acts on Capricorn. 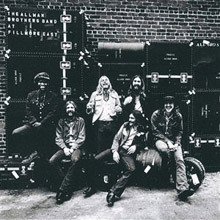 At Fillmore East is the first live album by American rock band the Allman Brothers Band, and their third release overall. Produced by Tom Dowd, the album was released in July 1971 in the United States by Capricorn Records. As the title suggests, the recording took place at New York City's Fillmore East, run by concert promoter Bill Graham. It was recorded over the course of three March nights in 1971 and features the band performing extended, jam versions of songs such as "Whipping Post" and "In Memory of Elizabeth Reed." When first commercially released, it was issued as a double LP with just seven songs comprising four vinyl sides. At Fillmore East was the band's artistic and commercial breakthrough, and is often considered one of the greatest live albums ever recorded. It has also been ranked among the best overall albums by artists and continues to be a top seller in the band's catalogue, becoming their first album to go platinum. In 2004, the album was selected for preservation in the Library of Congress, deemed "are culturally, historically, or aesthetically important" by the National Recording Registry. Eat a Peach is the third studio album by American rock band the Allman Brothers Band. Produced by Tom Dowd, the album was released on February 12, 1972, in the United States by Capricorn Records. Following their artistic and commercial breakthrough with the release of the live album At Fillmore East (1971), the Allman Brothers Band got to work on their third studio album. Many in the band were struggling, however, with heroin addictions, and checked into rehab to confront these problems. Shortly after checking out, group leader Duane Allman was killed in a motorcycle accident in the band's home of Macon, Georgia. 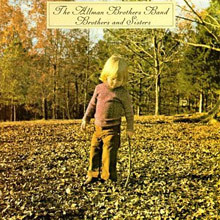 Brothers and Sisters is the fourth studio album by American rock band the Allman Brothers Band. Produced by Johnny Sandlin and the band themselves, the album was released in September 1973 in the United States by Capricorn Records. Following the death of group leader Duane Allman in 1971, the Allman Brothers Band released Eat a Peach (1972), a hybrid studio/live album that became their biggest yet. Afterwards, the group purchased a farm in Juliette, Georgia to become a "group hangout." However, bassist Berry Oakley was visibly suffering from the death of Duane: he excessively drank and consumed drugs. After nearly a year of severe depression, things seemed to be looking up for Oakley before he was killed in a motorcycle accident not dissimilar from his friend's in November 1972. 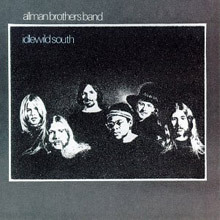 Idlewild South is the second studio album by American rock band the Allman Brothers Band. Produced by Tom Dowd, the album was released on September 23, 1970, in the United States by Atco Records and Capricorn Records. Following the release of their 1969 debut, the Allman Brothers Band toured the United States extensively to promote the album, which barely made a dent on pop charts. Their performances, however, did create positive word of mouth coverage that extended to more famous musicians, such as Eric Clapton, who called upon group leader Duane Allman to contribute to his 1970 album Layla and Other Assorted Love Songs. Win, Lose or Draw is the sixth album by The Allman Brothers Band, released in 1975. The record was the end of the line for the band at the time. After the very successful Brothers and Sisters two years previously, the group had fallen prey to internal tensions. Dickey Betts (continuing to be billed as Richard Betts for this album) had seemingly taken over from Gregg Allman as the de facto bandleader, while both had issued solo albums. 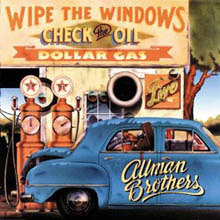 Wipe the Windows, Check the Oil, Dollar Gas is a 1976 double live album by The Allman Brothers Band. It collected a variety of performances from the mid-1970s line-up of the band. Songs from their popular 1973 Brothers and Sisters album were heavily featured, but each of their other studio albums was represented by a selection as well. 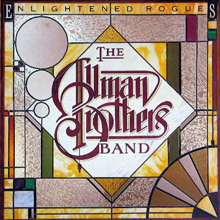 Enlightened Rogues is the seventh studio album by The Allman Brothers Band, released in 1979 on the Polydor and Capricorn labels. It was from the first reunion of the band (with new guitarist Dan Toler and bassist David Goldflies) following their 1976 dissolution. The album received strong reviews and moderate sales and was seen as an attempt to return to the dual guitar power of the original lineup. Tom Dowd, who had produced the band's two most successful records in the early 1970s, was brought back to handle production duties. It would also be the last record for Polygram and Capricorn. Capricorn filed for bankruptcy a year later. The band shifted to Arista records for their next release in 1980. "Crazy Love" was the group's second of three Top 40 hits to date. As any fan knows -- heck, as anyone who's listened to the radio since 1970 knows -- there was much more to the Allman Brothers Band than blues. Blues-rock, however, was a foundation of their music, and that's what you'll hear on this compilation, which is part of the Martin Scorsese Presents the Blues CD series, issued in conjunction with the television documentary series The Blues. As is proper, almost all of this is from the band's early years; all but two of the songs were recorded between September 1969 and June 1971, and none of them postdate 1979. So the accent falls very heavily on their Southern rockified covers of blues songs by Elmore James, T-Bone Walker, Muddy Waters, Blind Willie McTell, and Sonny Boy Williamson, including tunes that were among the group's most popular, among them "Trouble No More," "Statesboro Blues," "One Way Out," "You Don't Love Me," and "Dimples." That means there's no room for the considerable chunk of their repertoire that also mixed in pop, straight-ahead hard rock, jazz, and country, like "Dreams," "Ramblin' Man," "Whipping Post," and "In Memory of Elizabeth Reed." 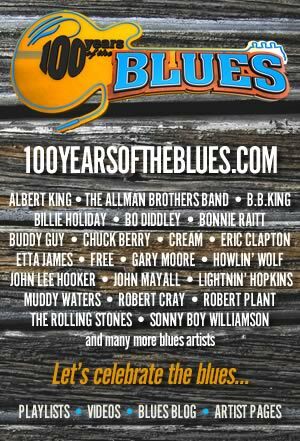 But if you are in the mood for the blues and the blues only, this is certainly a good (and long, running 74 minutes) sampler of the sounds that made them the most esteemed American blues-rock interpreters.